The very definition of being an Entrepreneur is taking risk to start a business, but that doesn't mean I don't get scared. The two biggest turning points in my career and income have been when I came across a fork in the road and had to decide if I wanted to share my success and create competition or or if should play it safe and keep my mouth shut. But thinking back with a clear mind and enough money in savings where I can think rationally long term, I know that having the abundance mentality has brought me where I am today. Here is my journey and how easily I could have f#$ked it all up. Ever since I created my first blog which was on Xanga if anyone remembers that, I just started sharing things that I wish others would have shared with me. My Muay Thai blog which I still update once in a while was an example of that. When I started writing it, no one was talking about the costs of living and training MMA and Muay Thai and no one had reviewed gyms like Phuket Top Team. I even had a food blog called "Eat Koh Tao" that I never made a penny on, and eventually had to shut down because the mafia on Koh Tao didn't like getting bad reviews for any of their restaurants. Lessons Learned: Even though I didn't monetize those blogs, I learned how to write consistently and put out a lot of value in the world for people who were looking for that info. 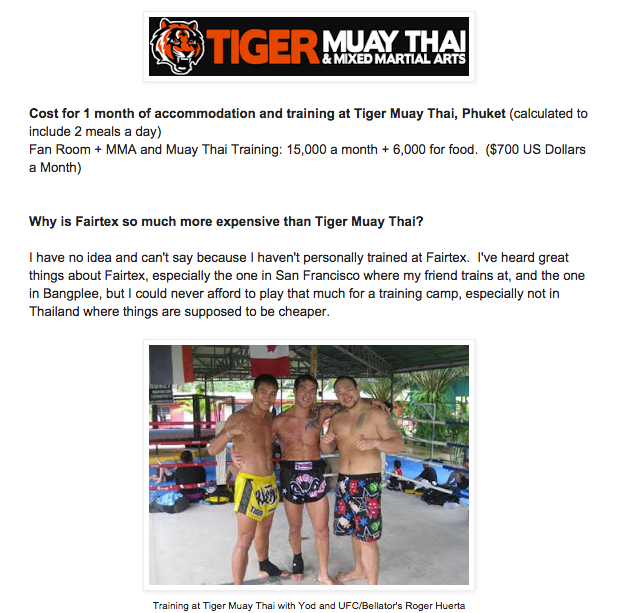 Sharing advice and information about training Muay Thai, how to save money while traveling was easy to do as it didn't hurt me directly when I created competition. Sure other people could also come train in Thailand, create a better blog than me, and take over my readership but I didn't really care. But what I did care about was my income from my dropshipping stores. It took me years to find a legitimate way to start an online business and all of the sudden I had a full time income and pretty much unlimited potential to create more niche dropshipping stores. I had two choices, I could have shut up and kept it to myself, as 99.9% of dropshippers do which is why you don't often hear from ones who are successful. Or I could tell the world. I slept on it for a few days, and then wrote this blog post, which was called "start here." Once the ball started rolling and I was talking about it anyways, I became known as the one guy who would openly share and started getting interviewed on a lot of podcasts about my journey. If it wasn't for deciding to open up I never would have built such a strong network, started my own podcast, or had my best friend also start a store and move out here to Chiang Mai with me. Lesson Learned: Even though it's scary it create potential competition, it forces you to stay one step ahead of everyone else and leads you to new opportunities. 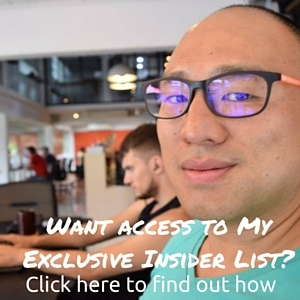 If it wasn't for openly talking about my success with Anton's course I never would have stumbled upon how profitable affiliate marketing could be and how easy it can be if you're just recommending things you use anyway. For example, this random video review and blog post I made with Larissa about her Chromebook ended up getting over 28,000 views and earned me a bunch of sales on my Amazon store. 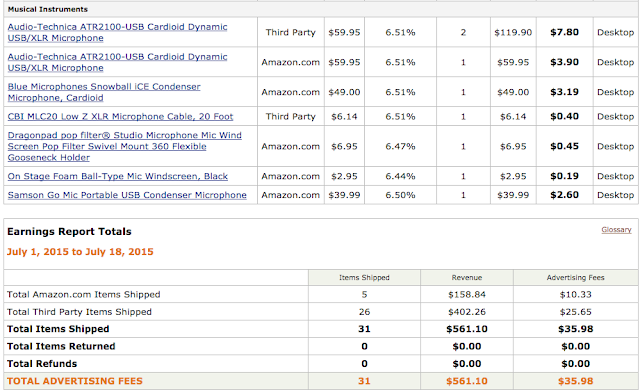 This month I wrote a post about what USB microphone I use and ended up selling a bunch of Audio Technica mics which I recommended. Lesson Learned: By openly talking about products, services and courses I personally use and would recommend I've created an entire new stream of income that has been bringing in between $1,500-$4,000 in extra income every month from various sources. The next big crossroad I had, but thinking back, also a logical decision was to start teaching what I've learned about monetizing a blog and podcast. To me, I stumbled upon it naturally, but there are tons of people out there who have no idea how to make money from blogging or podcasting and just as many people who have failed at affiliate marketing or have been scared to get started because it seems like a daunting world full of terms like PPC, EPC, PBNs, SEO, and Cloaking. I wanted to create a course that taught how to do it the way I did it with my blog which is pretty unobtrusive and doesn't require any complicated keyword research tools, trackers or building a PBN whatever that is. 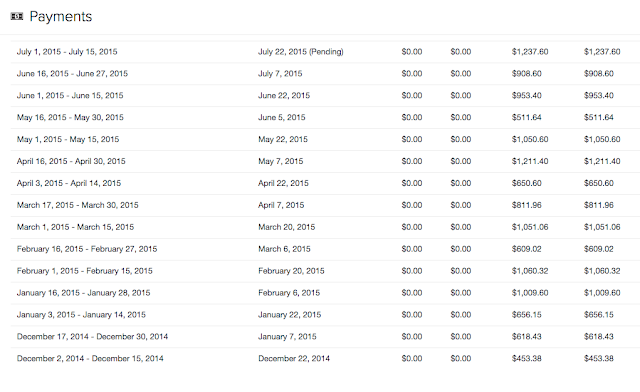 My dilemma wasn't if I should ever teach what I've learned with affiliate marketing, but when. The logical thing for me to do would have been only start sharing my success and create a course if my affiliate income ever started drying out. It sounds terrible but it's what most people do when they create an online course, they teach things that are on the verge of not working anymore and never when things are at it's peak of success. 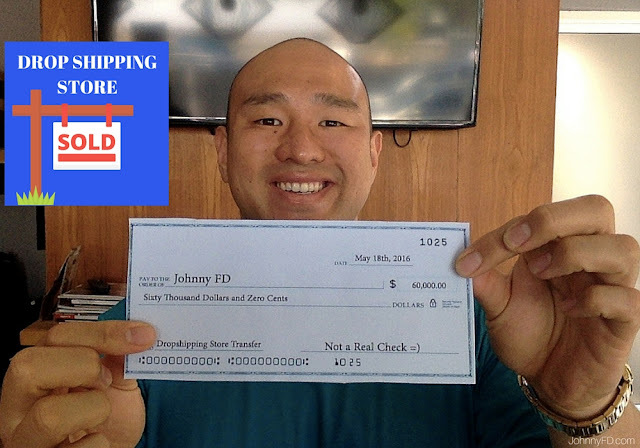 But just like with dropshipping, I decided to share my success as it is happening by creating my training course Earnest Affiliate so others could grow along with me. I know it'll create a bit of competition, but it'll also force me to stay one step ahead and keep learning and growing. Lessons Learned: By only teaching what is currently working, I've created a strong army of supporters and trust which vastly outweighs creating competition. Some weeks are better than others, and sometimes it's easy to fall in the trap of scarcity thinking or wishing for what others have. The biggest trap we all fall into is comparing ourselves with others thinking they are so much further ahead, more successful, or even happier. But they might not be. An old friend who I haven't spoken to in a few years called me the other day to catch up. The last time I saw him was in Austin, TX where him and a partner started a fitness company together. It was easy to look at him and think he was so much further ahead as his fitness courses is now making millions in sales, he has an entire team behind him, he has a crazy ripped six pack, and while skyping with him I got to see the million dollar house on the lake he just bought. All of the sudden, my achievements seemed small. But after talking with him for an hour and a half, I realized that with the new found success comes tons of stress, a big mortgage, and other pitfalls that I didn't even consider. Now he's planning on moving abroad and vagabonding with the rest of us, so in some aspects, being free from debt, and being completely location independent has us further ahead in those areas. Lesson Learned: Even though it may seem like others have achieved more or are further ahead, it doesn't matter and in reality you may be further ahead in other aspects. Keeping a positive, abundant mindset isn't always easy, and we all have fears when it comes to crossroads in life, but trust me when I tell you that those hard decisions are the best ones. If it wasn't for taking the big risks, I never would have gotten the big rewards. So next time you come to a fork in the road and have to decide between playing it safe or thinking big, I would think big. "The Only Person You Should Try To Be Better Than Is The Person You Were Yesterday"
Nice post, Johnny! 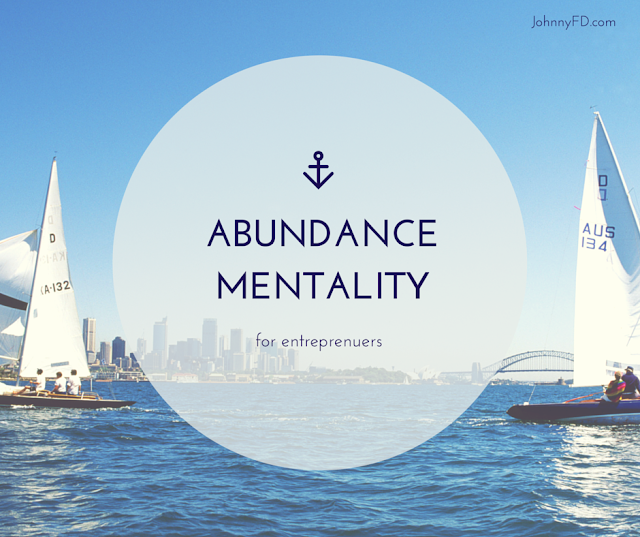 The abundance mentality is a tough sell, especially for many 20-something women. It's been my experience that some women become puzzled or even threatened when you don't play along with their scarcity mentality. It's not enough to "opt out" of their zero-sum idea of competition. They actually demand that you compete! I believe everyone should leverage their strengths and strive to become the best version of themselves. Hmm I never thought of it from a woman's point of view, especially one in their 20's. I can see how you would be alienated for that, as a bit part of "normal" life is taking turns listening to each other complain about their bosses, lives, etc, which is bonding over empathy. Hey Johnny! Great article, thanks. 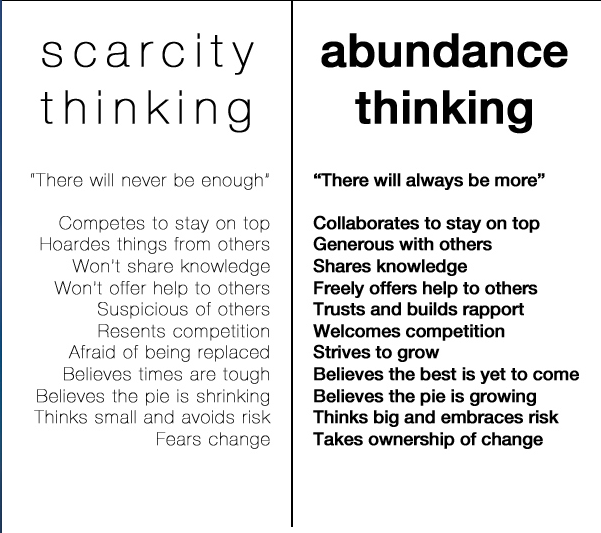 I have been thinking a lot about the abundance vs scarcity mentality and I have also read a few articles regarding this topic, but I still have hard time thinking abundance. The reasoning behind this is that I do business mostly in Slovakia, a country with just 5.5 milion people, where when you do business in English, you have the US and the world's markets. The thought is that it's easier to think abundance when you know that the ocean is so much more bigger and theforere there must be so much more fish in it, when in a small sea, there are not that many fish. Hey Lubo, there will always be reasons both valid or in our own minds that will hold us back and give us an excuse not to put out 100% effort. Even with relationships I grew up with a very narrow mentality that I would only be able to date within my own race and only within 25 miles from my house. It's a bit crazy to think that I'd meet Larissa a girl from a totally different country, culture, and 7,693 miles away and for us to fall in love with each other. As for business, relationships and life in general, the only thing we can control is being the best version of ourselves and opportunities will come, both business and personal. I like your point of view, Johnny. You're right. It wassn't very different for me. In Slovakia, scarcity is the standard and everyone loves to tell you what you can't do, or that there is not enough, or that you will fail etc. I have slowly learned to think abundance in many areas of life, but with this one - sharing the knowledge - I'm struggling a bit. 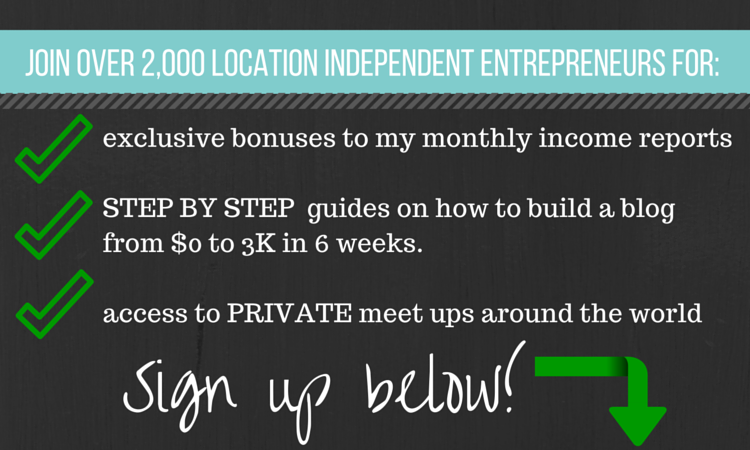 You are a great example that it works and I think I will start sharing more than I do now. Thanks again Johnny. All the best! PS: Haven't you thought of using Disqus for your comments system? I have profiles pretty much everywhere on the web but I am not able to choose any from the options here :) I use Disqus on all my sites and I am very happy with it. Keep sharing and the more you do the more you'll get back Lubo. Promise. I'll check out Disqus again, hope it works with my theme this time around. I'm 34 Years Old. Here's what I've Learned.